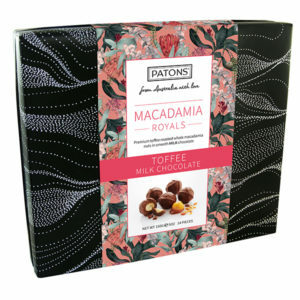 Royals are a whole macadamia nut dipped in golden toffee, before being double coated in deliciously smooth milk chocolate and then lovingly decorated with the unique Patons swirl. 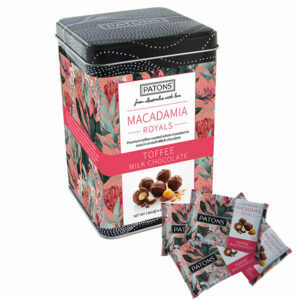 Comes in a box of 400 x 22g double Flow Wraps. 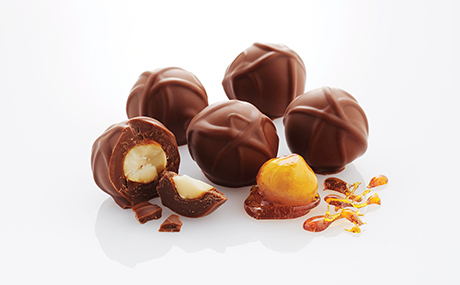 The passion and dedication in this handmade process makes it an irresistible, decadent and delightful delicacy for family and friends. 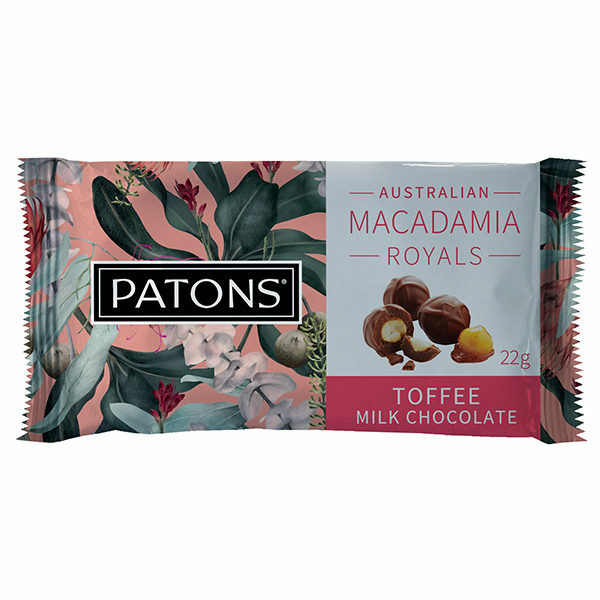 With the macadamia nut being indigenous to Australia it’s as a unique gift option. Together with the quality and health benefits of the nut it makes an almost guilt free treat.